I don’t know about you but I am not sad to see 2017 go! It has been a crazy year of political drama, fake news, and crazy natural disasters. In fact there is still debris from Hurricane Irma in my neighborhood! The good news is there is still time left to make some financial moves to finish off the year strong. Here’s a list of things to do to wind down 2017. 1. Get your bookkeeping up-to-date for the year. If you fell behind, now is the time to catch up. There is no way to make any last minute moves unless you know where you stand at this point. Once you know what your net profits for the year are looking like you can decide what to do. Want to show more income for 2017 than 2018? Try to get some extra income in December. Some ideas for this are running a year end or holiday special promotion, or asking clients to prepay for next year now at a discount. You can also keep expenses down by holding off on making purchases until January. Think the new tax reform will mean lower taxes in 2018? Slow down your collection efforts for the rest of the year and start up again in January. Stock up on supplies or make major purchases (see 4. below) before the year is over. 2. Make sure you have W-9 forms for all of your contractors. All copies of the 1099-MISC forms for 2017 are due January 31, 2018! Make sure you have all of this information now so you are ready to hand over that information to your CPA in the beginning of January. You need to file 1099-MISC forms for any individual, partnership, and certain LLCs that you paid over $600 to in 2017. You also need to give 1099-MISC forms to any lawyers that you paid in 2017, and possibly your landlord too. On top of these penalties the IRS can also disallow the deduction, resulting in additional taxes owed! 3. Make major purchases. If you’ve been contemplating buying a car, new computer, or other big equipment for your business, now is the time. You can take advantage of accelerated depreciation and get a full deduction for the entire cost, even though you purchase it in December! Here is how to get a huge deduction for a car purchase. Use the “Hummer Tax Loophole,” or Section 179 deduction. Section 179 lets you deduct up to $510,00 in 2017 in fixed assets (vehicles, computers, furniture, etc.). There are special rules in place for autos, but if you by a NEW car in December and document that it is 100% for business you can deduct $11,160. Document your mileage with by keeping a log or using a mileage tracking app. 4. Check your payroll. S-corporation owners must run payroll. This is a big “red flag” for the IRS when you don’t. If you have a lot of cash maybe run yourself a bonus payroll. This is good if you need to show a higher salary on a W-2 or increase your Social Security contributions. This is also a great way to pay in additional tax if you missed your quarterly estimated payments – and avoid penalties. While on the subject of payroll – S-corporation owners need to make sure their health insurance premiums are included in Box 1 of their W-2. Contact your payroll company to make sure it is correct. If you skip this step your business cannot deduct the expense of the health insurance and you cannot use the self-employed health insurance deduction on your personal return! 5. Set up or make a contribution to your retirement account. Retirement contributions will reduce your tax bill and set you up for financial success for the future. Examples of these kinds of accounts are a SEP, simple IRA, or 401(k). They each have different rules such as participation and contribution limits, so choose wisely! 6. Write off business gifts. This is especially useful during the holidays. Just keep in mind only up to $25 can be written off. Sometimes gifts can also be considered “meals and entertainment” – think show or game tickets. Meals and entertainment can only be deducted 50%. Here is one instance where the IRS is kind and let’s you use whichever classification is more beneficial to you! 7. Make your s-election. If you are an LLC or a c-corporation and have been meaning to become an s-corporation, now is the time to file Form 2553 Election by a Small Business Corporation. You can have the election go into effect for January 2018. 1. Check your withholding. Did you under-withhold in your payroll this year to have more cash in your paycheck? 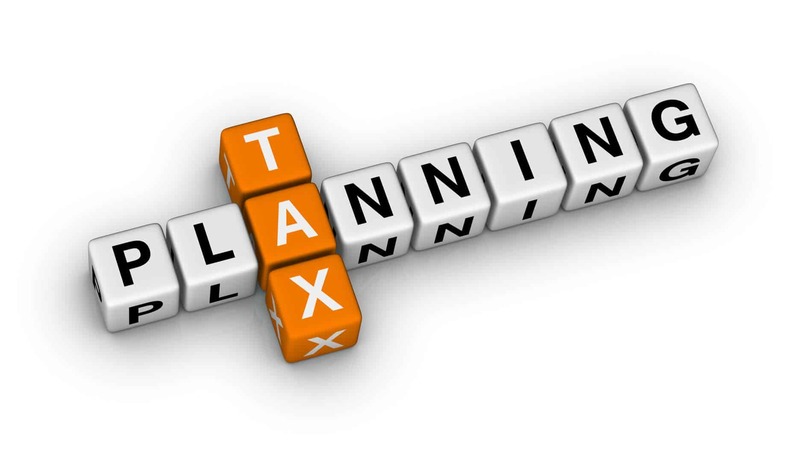 Ask your CPA to do a tax projection for you to see if you are going to owe additional taxes. You can make estimated payments or pay in April when you file, but you could have some penalties to deal with. 2. Did you skip some of your estimated payments during the year? You should send them in ASAP to limit your penalties. The good news is you have until January 15, 2018 for the fourth quarter estimated payment due date. 3. Double up on real estate tax deductions. There might be a lot of changes to various itemized deductions with the proposed tax reform. If you are concerned that you might not be able to take advantage of your deductions such as real estate taxes, you can take advantage of them in 2017 by paying them before December 31. It’s an extra bonus if you paid 2016’s real estate taxes in 2017 as well. 4. Make your fourth quarter state income tax estimated payment in December 2017 instead of January 2018. This will allow you to deduct all of your state income tax payments in 2017 in case the deduction isn’t available anymore in 2018. 5. Be charitable. Now is a great time for charitable giving. Make sure you give to a legitimate 501(c)(3) organization. Make sure you keep documentation of the gift. If you give more than $250 to a charity they are required to give you a written acknowledgement. Items other than cash can be donated as well. Organizations will take cars, boats, stock, and other assets. If your donation property is worth over $5,000 you will need to get an appraisal. 6. Use your Flexible Spending Account funds. FSA funds are “use it or lose it,” so make sure you drain those accounts by December 31. Some employers give a grade period until March 15, but this is optional. 7. Max out your 401k. If you haven’t contributed all year or just want to put away more money you can put an oversized amount into your 401k with the last few payrolls. You might also be able to contribute from your year-end bonus (talk to HR). As always, if there is anything I can do to help please feel free to reach out! The weekend of August 4-6, 2017 is a sales tax holiday in certain states, Florida being one of them. While you might have your toes in the water, enjoying summer vacation a little longer, this tax holiday comes in preparation for going back to school. Items that are qualified will not have any sales tax applied. This list includes school supplies selling for $15 or less per item, clothing and shoes selling for $60 or less per item, computers and certain accessories for $750 or less per item. Each item has to be less than the total amount stated here- it does not exclude that amount if the total is higher. For example, if you purchase a computer for $751 you will pay sales tax on that entire purchase because you exceeded the per item exemption amount- by $1. Pro tip– I personally hate going to the stores this weekend. The good news is that many large stores, such as Walmart and Amazon will let you purchase online this weekend and still benefit from the sales tax holiday. Shopping online will also help you find the best price for what you need. Get your bookkeeping up-to-date for the year. If you fell behind, now is the time to catch up. There is no way to make any last minute moves unless you know where you stand at this point. Make major purchases. If you’ve been contemplating buying a car, new computer, or other big equipment for your business, now is the time. You can take advantage of accelerated depreciation and get a full deduction for the entire cost, even though you purchase it in December! Check your payroll. S-corporation owners must run payroll. This is a big “red flag” for the IRS when you don’t. If you have a lot of cash maybe run yourself a bonus payroll. This is good if you need to show a higher salary on a W-2 or increase your Social Security contributions. This is also a great way to pay in additional tax if you missed your quarterly estimated payments – and avoid penalties. While on the subject of payroll – S-corporation owners need to make sure their health insurance premiums are included in Box 1 of their W-2. Contact your payroll company to make sure it is correct. Set up or make a contribution to your retirement account. Retirement contributions will reduce your tax bill and set you up for financial success for the future. Examples of these kinds of accounts are a SEP, simple IRA, or 401(k). Make sure you have W-9 forms for all of your contractors. The new deadline for filing 1099-MISC forms for 2016 is January 31, 2017!! Make sure you have all of this information now so you are ready to hand over that information to your CPA in the beginning of January. You need to file 1099-MISC forms for any individual, partnership, and certain LLCs that you paid over $600 to in 2016. You also need to give 1099-MISC forms to any lawyers that you paid in 2016, and possibly your landlord too. Write off business gifts. This is especially useful during the holidays. Just keep in mind only up to $25 can be written off. Intuit announced that they will no longer support all versions of their 2013 QuickBooks Desktop as of May 31, 2016. What does that mean for users? If you do not upgrade to a newer version, don’t expect Intuit to help you if you need it, via live chat or phone. If you are running payroll through QuickBooks important calculations (like taxes) will be wrong. Access to add-on services will stop, as well as online backup and online banking. Odds are if you are still using QB 2013 desktop you haven’t explored your options in accounting systems in quite a while. Unless you need to use QB desktop (i.e.- you have a construction company using job costing), you should really be using a cloud-based application. My personal favorite and the system I use for my own business is Xero. There are other options as well that you can read about here, but for modern businesses the most powerful and convenient accounting systems are in the cloud. Not sure what solution is right for your business? Feel free to schedule a consultation with me. Florida businesses need to file their annual reports by May 1 to avoid penalties. The penalties are big – $400 if you file late! – and the state won’t wave these. Go to SunBiz now to renew. You will need to know your document number. If you don’t know it, use the “Document Searches” tool to look up your company. Contact my office if you need help with this. April 15 – But It’s Not Tax Day?! Today is April 15 but it isn’t Tax Day. The deadline for filing your 2015 taxes is actually Monday, April 18. That’s good news if you’ve been procrastinating because you get a few more days! The reason for the deadline being moved is because today is Emancipation Day in Washington DC. Emancipation Day is a holiday in marking the anniversary of the signing of the Compensated Emancipation Act, which president Abraham Lincoln signed on April 16, 1862. Normally it is held on April 16th, but being a Saturday this year it is being observed on April 15. Government employees in DC enjoy the day off today, including those at the IRS. The filing deadline had to be moved to the next business day – April 18. If you still need to file an extension for your 2015 you can do so with Form 4868. Contact me if you need help with your extension or tax filings. April 1 is the deadline for filing the Tangible Personal Property tax for businesses in Florida. Tangible personal property (TPP) is stuff you can feel or touch that is moveable – basically anything that is not real estate or attached to real estate. Inventory is not included in tangible personal property tax, and it should not be confused with intangible property, which is assets you can own that have no physical substance, such as investments, trademarks, patents, etc. TPP returns are filed with the county your business is located in. If you aren’t ready to file your TPP return, you can request an extension for 30 or 45 days, depending on the county. Check with your county for more information on extensions, forms, and other filing information. If you aren’t located in Florida this website gives you a list of personal property tax deadlines by state. Contact me if you need help with filing your business tangible personal property tax form.